The YouTube ID of -6Y3xlWgfV0&t=17s is invalid. The new Congress that was sworn in Thursday afternoon is significantly more religious and Christian than the nation it represents, according to an analysis of religions claimed by House and Senate members. Most notable, while 23 percent of the nation claims to be unaffiliated, atheist, or simply “none,” there is just one member of that group. Arizona Democratic Sen. Kyrsten Sinema said that she is religiously unaffiliated, said the analysis from the Pew Research Center. Protestants and Catholics are tops, and the 116th Congress includes the first two Muslim women ever to serve in the House. According to Pew, Christians are “overrepresented in Congress,” at 88.2 percent. Overall, 71 percent of all U.S. adults are Christian. 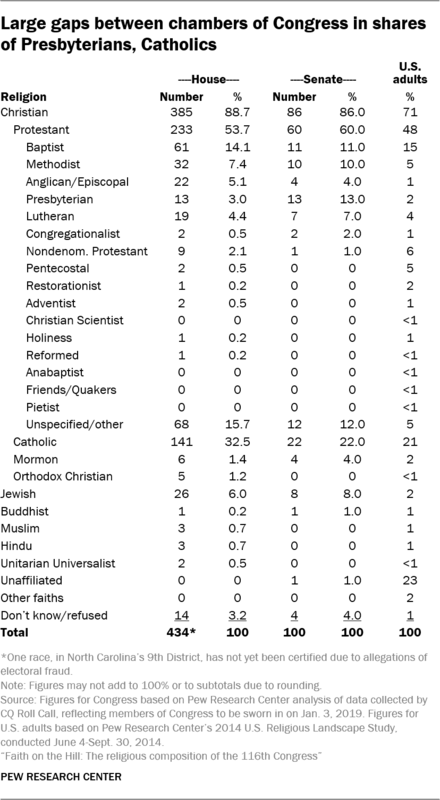 Most are Protestants, 292, or 54.9 percent of Congress. In the U.S., 48 percent are Protestant. 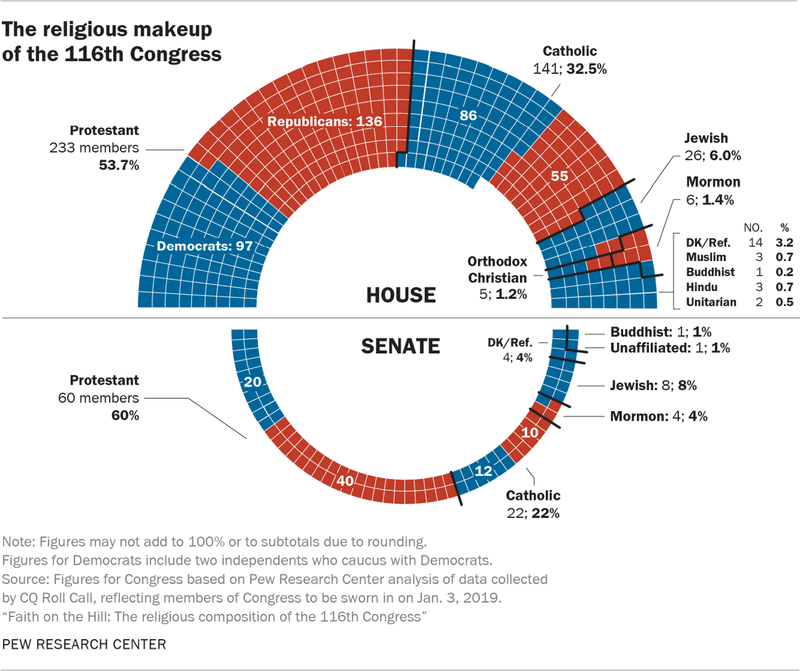 There are also 163 Catholics in Congress, or 30.5 percent. In the general population, 21 percent are Catholic. There are 34 of the Jewish faith in the House and Senate, or 6.4 percent. In the U.S., just 2 percent are Jewish.